Glenda Austin is a recognized composer, arranger, pianist and teacher who writes piano music popular at all levels. Glenda graduated from the University of Missouri (Columbia) with a bachelor’s degree in music education and a master’s degree in piano performance. As an elementary and high school music teacher, Glenda holds memberships in the Music Teachers National Association, Missouri Music Educators Association, Music Educators National Association, Missouri Music Teachers Association and the Joplin Piano Teachers Association. Glenda is a frequent adjudicator and clinician, having presented workshops for teachers and students throughout the United States as well as Canada and Japan. In addition, she serves as an adjunct faculty member at Missouri Southern State University, accompanying jazz and choral groups as well as individual vocal students. Published by Willis Music Company, many of her compositions appear on state repertoire lists. “Jazz Suite No. 2” and “Sea Nocturne” are perennial favorites on the National Federation list. 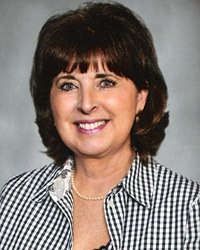 She has also been commissioned by Clavier magazine and continues to be regularly commissioned by teachers’ organizations across the United States. Because of her association and friendship with William Gillock, renowned composer, she was chosen by Willis to simplify the ever popular New Orleans Jazz Styles as well as arrange it for four-hand duets. Married to high-school sweetheart, David Austin, they are the parents of two grown children, Susan and Scott, and grandparents of Isaac, Eden and Levi. Closer Look Add to Wish List Add to Cart Your students will love playing these early elementary level supplements with fantastic optional teacher accompaniments arranged by Glenda Austin. They complement and enhance the original Teaching Little Fingers to Play method, offering important guides and reminders to reinforce musical concepts. Our Teaching Little Fingers series successfully encourages advancement and also provides delightful recital material! 10 songs, including: The Bare Necessities • Can You Feel the Love Tonight • Kiss the Girl • Mickey Mouse March • Winnie the Pooh • and more. Closer Look Add to Wish List Add to Cart 10 more Christmas favorites, including: Because It's Christmas (For All the Children) • The Chipmunk Song • Christmas Is • Dance of the Sugar Plum Fairy • Frosty the Snow Man • I Heard the Bells on Christmas Day • I Saw Mommy Kissing Santa Claus • Jingle, Jingle, Jingle • Let It Snow! Let It Snow! Let It Snow! • My Favorite Things. Closer Look Add to Wish List Add to Cart Eight worship tunes perfect for the young student. An excellent supplement to any piano method and great sight-reading material for any age. Features: Awesome God • Here I Am to Worship • Hosanna (Praise Is Rising) • More Precious than Silver • Praise the Name of Jesus • There Is a Redeemer • Thy Word • Your Grace Is Enough. Closer Look Add to Wish List Add to Cart “Chop Suey is my fav'rite food, it puts me in a happy mood!” are the first lines in this adorable piece for beginners. In mostly five-finger position, and with optional teacher accompaniment. Key: C Major. Closer Look Add to Wish List Add to Cart Exciting piano solos for church pianists everywhere! These excellent arrangements by Glenda Austin include some of her favorite hymns that may be used for church and recital performances, or simply for personal enjoyment. Features: Amazing Grace • Be Thou My Vision • It Is Well With My Soul • Jesus Loves Me/He Keeps Me Singing (medley) • My Jesus, I Love Thee • Shall We Gather at the River?/On Jordan's Stormy Banks (medley) • What a Friend We Have in Jesus. Closer Look Add to Wish List Add to Cart Eight great pieces by Glenda Austin! This collection includes six of Austin's favorite pieces through the years, as well as two brand new ones composed especially for this series. Titles: Blue Mood Waltz • Chromatic Conversation • Etude in E Major • Midnight Caravan • Reverie • South Sea Lullaby • Tangorific • Valse Belle. Pop Hits, Broadway, Movies and More! Closer Look Add to Wish List Add to Cart 10 songs that can be used on their own, or as a supplement to John Thompson's Modern Course for the Piano or any other method. Includes: Beauty and the Beast • Bibbidi-Bobbidi-Boo • Castle on a Cloud • Climb Ev'ry Mountain • Getting to Know You • The Glory of Love • Goodnight, My Someone • Medley from The Phantom of the Opera • Tomorrow • Yesterday. Closer Look Add to Wish List Add to Cart This collection features 10 titles carefully arranged to correspond with Grade 3 of the John Thompson's Modern Course for the Piano series. Includes: Carol of the Bells • I'll Be Home for Christmas • It's Beginning to Look like Christmas • Jingle-Bell Rock • A Marshmallow World • Merry Christmas, Darling • The Most Wonderful Day of the Year • Pat-A-Pan (Willie, Take Your Little Drum) • Wonderful Christmastime • You're All I Want for Christmas. Closer Look Add to Wish List Add to Cart A spectacular jazz solo in 3 movements, Austin's second jazz suite is as challenging as it is satisfying. Closer Look Add to Wish List Add to Cart Exciting piano solos for church pianists everywhere! These excellent arrangements by Glenda Austin include some of her favorite hymns that may be used for church and recital performances, or simply for personal enjoyment. Features: Angels We Have Heard on High • Bring a Torch, Jeannette, Isabella • The First Noel • Go, Tell It on the Mountain • God Rest Ye Merry, Gentlemen • He Is Born • Sing We Now of Christmas • What Child Is This? Closer Look Add to Wish List Add to Cart 10 super simple Christmas tunes arranged by Glenda Austin. Correlates perfectly with Step by Step Book 1. Plus, the collection includes three original solos! Titles: Bells Are Ringing • Good King Wenceslas • How Great Our Joy • I Saw Three Ships • Jingle Bells • Jolly Old St. Nicholas • O Come, Little Children • O Come, O Come, Emmanuel • One Shining Star • Snowing, Snowing! Closer Look Add to Wish List Add to Cart 10 all-time favorites: Chariots of Fire • Endless Love • Imagine • Mission: Impossible Theme • Moon River • On Broadway • Seasons of Love • Somewhere Out There • Till There Was You • A Whole New World. Closer Look Add to Wish List Add to Cart 17 fun tunes with optional teacher accompaniments, including: Bingo • Down in the Valley • I'm a Little Teapot • If You're Happy and You Know It • Lightly Row • On Top of Old Smoky • Take Me Out to the Ballgame • and more. Closer Look Add to Wish List Add to Cart Exciting piano solos for church pianists everywhere! These great arrangements by Glenda Austin include some of her favorite gospel hymns that may be used for both church and recital performances, or simply for personal enjoyment. Features two great medleys: How Excellent Is Thy Name/I've Just Seen Jesus/Because He Lives and The King Is Coming/We Shall Behold Him in addition to six other gospel standards: How Great Thou Art • My Tribute • Mansion Over the Hilltop • Soon and Very Soon • Sweet, Sweet Spirit • Victory in Jesus. Closer Look Add to Wish List Add to Cart Exciting solos for church pianists everywhere! These nine excellent arrangements by Glenda Austin include her favorite worship songs for church, recitals, or simply for personal enjoyment: Above All • Change My Heart Oh God • Give Thanks • Great Is the Lord • How Great Is Our God • How Majestic Is Your Name • In Christ Alone • There Is a Redeemer • You Are My All in All. Closer Look Add to Wish List Add to Cart 10 songs that can be used on their own, or as a supplement to John Thompson's Modern Course for the Piano or any other method. Includes: Beauty and the Beast • Bibbidi-Bobbidi-Boo • Castle on a Cloud • Climb Ev'ry Mountain • Getting to Know You • The Glory of Love • Goodnight, My Someone • Medley from The Phantom of the Opera • Tomorrow • Yesterday. This version includes access to orchestrated audio online. Closer Look Add to Wish List Add to Cart 10 hymns: All Hail the Power of Jesus' Name • Breathren, We Have Met to Worship • Come, Christians, Join to Sing • Come, Thou Almighty King • Great Is Thy Faithfulness • How Firm a Foundation • I've Been Redeemed • Just As I Am • O God, Our Help in Ages Past • 'Tis So Sweet to Trust in Jesus. Closer Look Add to Wish List Add to Cart The 10 arrangements in this book/audio package can be used on its own, as a supplement to John Thompson's Modern Course for the Piano, or with any other piano method. This version includes access to orchestrated audio files online! Songlist: Chariots of Fire • Endless Love • Imagine • Mission: Impossible Theme • Moon River • On Broadway • Seasons of Love • Somewhere Out There • Till There Was You • A Whole New World. Closer Look Add to Wish List Add to Cart 12 great arrangements for the more mature student that can be used on their own, or as a supplement to John Thompson's Adult Piano Course (Book 2). Titles: And So It Goes • Beauty and the Beast • Getting to Know You • Hey Jude • If My Friends Could See Me Now • Lollipop • My Favorite Things • Nadia's Theme • Strawberry Fields Forever • Sunrise, Sunset • Sway (Quien Será) • You Raise Me Up. This book includes access to audio tracks online that can be downloaded or streamed! Closer Look Add to Wish List Add to Cart William Gillock's timeless jazz originals have been transformed into engaging and very accessible 1 Piano/4 Hands duets by composer/clinician Glenda Austin. The book also comes with online audio tracks that include a demo of both parts together, as well as separate Primo and Secondo parts, giving the student the flexibility to rehearse as well as perform on their own when a partner is not available. Excellent collaborative pieces! Contents: New Orleans Blues • Taking It Easy • After Midnight • Mister Trumpet Man • Bourbon Street Saturday Night. Closer Look Add to Wish List Add to Cart This follow-up to the elementary level collection of first Christmas recital solos by various Willis composers includes 12 great selections at a more advanced level: The First Noel • Go Tell It on the Mountain • The Holly and the Ivy • March of the Toys • O Come, O Come Emmanuel • Shepherds, Shake off Your Drowsy Sleep! • Silent Night • and more. Closer Look Add to Wish List Add to Cart Exciting piano solos for church pianists everywhere! These excellent arrangements by Glenda Austin range from highly rhythmic to lyrical and calming, and include some of her favorite spirituals. May be used for church and recital performances, or simply for personal enjoyment. Features: The Gospel Train • Joshua (Fit the Battle of Jericho) • My Lord, What a Morning • Rock-a-My Soul • Swing Low, Sweet Chariot • There Is a Balm in Gilead • Wayfaring Stranger.